Discovery Family (formerly Discovery Kids and the Hub Network) is an American digital cable and satellite television channel owned by Discovery Communications, marketed as a family-friendly network with a mix of original and acquired children´s programs, such as Hasbro´s My Little Pony: Friendship is Magic, Littlest Pet Shop and Transformers themed shows, along with family-oriented science and nature-themed programs. The network was launched on October 7, 1996, as Discovery Kids, a spin-off of Discovery Channel that featured science, nature, and adventure-themed programs aimed towards children aged between 6 and 11. In April 2009, Hasbro announced a joint venture with Discovery to re-launch Discovery Kids as The Hub (later Hub Network) on October 10, 2010; Hasbro handled programming, while Discovery handled distribution and advertising sales. The Hub was intended to be a general, youth-oriented network with a "diverse" lineup, primarily featuring programming adapted from Hasbro franchises (such as Transformers, its board games, My Little Pony, Pound Puppies, and Littlest Pet Shop), along with other, family-oriented programs such as sitcom reruns and films. On September 25, 2014, following reports earlier in the year that Hub Network president Margaret Loesch would step down by the end of the year, Discovery acquired 10% of Hasbro´s stake in the network and replaced Loesch with Henry Schleiff, who leads sister networks such as Destination America and Investigation Discovery. On October 13, 2014, Hub Network was re-branded as Discovery Family; Hasbro remains a minority partner and programs the network´s daytime lineup with children´s programs carried over from Hub Network, while its primetime lineup was replaced with reruns of non-fiction programs from Discovery Channel´s library. Discovery Communications launched Discovery Kids in October 7, 1996, as part of a suite of four new digital cable channels that included Discovery Travel & Living, Discovery Civilization, and Science Channel. Upon its launch, the network primarily offered adventure, nature, and science-themed programs aimed towards a children´s audience between ages 6 and 11. Marjorie Kaplan, the network´s senior vice president, explained that the creation of Discovery Kids was influenced primarily by kids who were watching its parent network´s programming together with their parents. From 1996 until 2000, Discovery Kids was carried by only a select few cable television providers. By late-2001, the channel was carried in at least 15 million homes. In September 2001, a Canadian version of Discovery Kids was launched in partnership with Corus Entertainment. In December 2001, Discovery Kids announced a partnership with NBC, in which it would produce a new Saturday morning block for the network known as Discovery Kids on NBC, beginning in September 2002. The block, which replaced a teen-oriented block consisting only of sitcoms, featured programming that met the U.S. Federal Communications Commission´s (FCC) educational programming guidelines, including new original series (such as the reality television series Endurance), existing Discovery Kids programming, along with children´s spin-offs of programs from sister networks such as Animal Planet and Discovery Channel. On April 30, 2009, toy manufacturer and media company Hasbro announced that it would be forming a joint venture with Discovery Communications to re-launch Discovery Kids as a new, family-oriented television channel. Under the arrangement, Discovery would be in charge of handling advertising sales and distribution for the new channel, while Hasbro would be involved in acquiring and producing programming. While the network planned to maintain educational series (including those carried over from Discovery Kids), plans called for new original programs based off Hasbro-owned franchises such as G.I. Joe, My Little Pony, Transformers, and game shows adapted from its board game brands. In January 2010, Discovery and Hasbro announced that the new network would be known as The Hub; two months later, the companies announced that The Hub would be launched on October 10, 2010. The network planned to continue targeting Discovery Kids´ main demographic of children aged 2 through 14 (a market which staff felt was being abandoned by its competitors, such as Nickelodeon and Disney Channel, in favor of tweens), but also planned to feature a primetime block with family-oriented programming. Veteran television executive, and the network´s president and chief executive officer Margaret Loesch stated that The Hub´s goal was to be "vibrant" and "diverse" in its programming, and that the channel would not purely be a marketing vehicle for Hasbro products. The network´s original imaging was developed by Troika Design Group, and built around an emblem nicknamed the "hubble"?which was designed to embody a "catalyst of action and imagination". The final logo design was the result of a number of drafts by Troika designers, some of which had incorporated typography similar to Hasbro´s logo. The Hub was launched on October 10, 2010 at 10:00 a.m. ET; its first program was an episode of The Twisted Whiskers Show. Some of The Hub´s launch programming would include the game show Family Game Night, animated series Pound Puppies, My Little Pony: Friendship Is Magic and Transformers: Prime, reruns of the Jim Henson series Fraggle Rock, and the preschool-oriented programs Cosmic Quantum Ray and The WotWots. In a June 2011 debt filing with the Securities and Exchange Commission, Discovery Communications indicated that the channel may be worth less than previously believed, based on low viewership figures. The management of The Hub subsequently underwent a fair value analysis of the channel. A Discovery Communications spokesperson considered the action to be "a pro-forma accounting exercise", and noted that Discovery felt "very positive and encouraged by The Hub´s early days´ performance and ability to grow its audience in the future." In March 2013, The Hub picked up its first work from POW! Entertainment, Stan Lee´s Mighty 7, an animated pilot movie to be aired in early 2014. The network also began to phase in an amended branding as the Hub Network. In 2014, Hub Network introduced an updated logo and a new imaging campaign, "Making Family Fun", which was developed by the Los Angeles-based agency Oishii Creative. On June 12, 2014, it was reported that Margaret Loesch would step down from her role as Hub Network president and CEO by the end of 2014. On September 17, 2014, The Wall Street Journal reported that Discovery Communications was preparing to acquire a controlling stake in Hub Network from Hasbro, and then re-brand it as Discovery Family. Hasbro staff, along with Discovery´s CFO Andrew Warren, acknowledged that increasing competition in the children´s media landscape?especially by subscription video-on-demand services such as Netflix, had an effect on the overall performance of the network and Hasbro´s original content. As it was majority-owned by a competitor, other major toy companies such as Mattel refused to purchase advertising time on Hub Network, affecting its ability to air advertising that targeted its main audience; by 2014, the network had made only $9 million per year. Discovery staff was also unable to display a full commitment to Hub Network´s operation, due to factors such as the troubled launch of the Oprah Winfrey Network. Believing that they had overvalued its stake in the venture, Hasbro decided to cede the operation of the network to Discovery so it could focus more on content and its core toy business. Discovery and Hasbro publicly announced the planned re-branding on September 25, 2014; Hasbro´s CEO Brian Goldner explained that Discovery Family would be the "next chapter" in its joint venture with Discovery, "[combining] highly rated award-winning storytelling around Hasbro´s brands and Discovery´s most popular non-fiction shows that appeal to both children and families alike." Hub Network was re-launched as Discovery Family on October 13, 2014?just over four years since the original launch of The Hub. With these changes, Discovery Communications now holds a 60% stake in the joint venture; Hasbro continues to hold a 40% stake in Discovery Family, and continues to program the network´s daytime lineup with children´s programming. Following the re-launch, the network´s primetime lineup was replaced by reruns of family-oriented factual programming from Discovery Channel´s library. Henry Schleiff, who leads sister networks such as Destination America and Investigation Discovery, leads the re-launched network, with Tom Cosgrove (who previously served as CEO of Discovery Channel and Science) as general manager. The majority of Discovery Family´s daytime programs are animated and live-action series tied to media franchises owned by Hasbro itself, with newer series produced through the Hasbro Studios division, such as Pound Puppies and Transformers: Rescue Bots. As the Hub Network, it also previously aired game shows tied to Hasbro´s board games, such as Family Game Night. 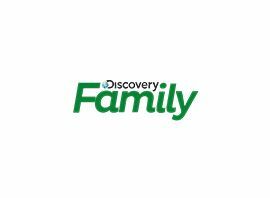 Following the re-launch as Discovery Family, the remainder of its lineup was replaced with family-oriented science and nature-related programs from its sister network Discovery Channel, such as Africa, Extreme Engineering: Big Reveals, Flying Wild Alaska, and Time Warp. One of the network´s most noteworthy series has been My Little Pony: Friendship Is Magic, an animated series developed and first produced by Lauren Faust, associated with the then-recent reboot of Hasbro´s My Little Pony toy franchise. The series not only became The Hub´s highest-rated program within its target demographic of young girls, but attracted an unexpectedly significant cult following among teens and adults. Discovery Family has also aired the two film tie-ins to My Little Pony´s spin-off toys: My Little Pony: Equestria Girls and My Little Pony: Equestria Girls ? Rainbow Rocks, with a third film that aired on the channel on September 26, 2015. The network has also acquired new series unrelated to Hasbro properties, including The Aquabats! Super Show!, Dan Vs., Majors & Minors, R. L. Stine´s The Haunting Hour, and SheZow, while four of its programs, Strawberry Shortcake´s Berry Bitty Adventures, The Twisted Whiskers Show, Maryoku Yummy and Care Bears: Welcome to Care-a-Lot, came from properties of American Greetings. During its years as the Hub Network, the channel also aired reruns of other outside series, such as Fraggle Rock and Lois & Clark: The New Adventures of Superman, a collection of various Warner Bros. Animation series, such as Batman Beyond, Batman: The Animated Series, Superman: The Animated Series, Animaniacs and Tiny Toon Adventures, and various off-network sitcoms (at the end of the Hub Network´s run, these included Blossom, Step by Step and Sister, Sister). A limited amount of original Discovery Kids programming, such as Adventure Camp and Flight 29 Down, remained on the lineup upon its launch as The Hub.